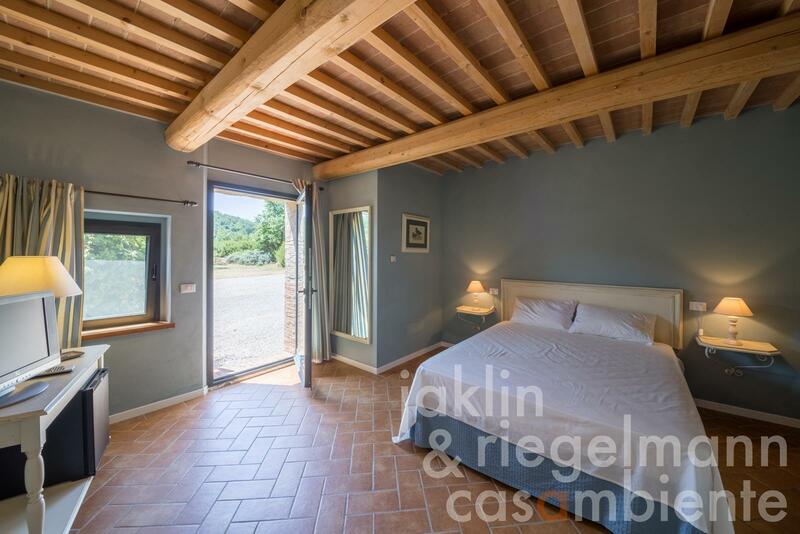 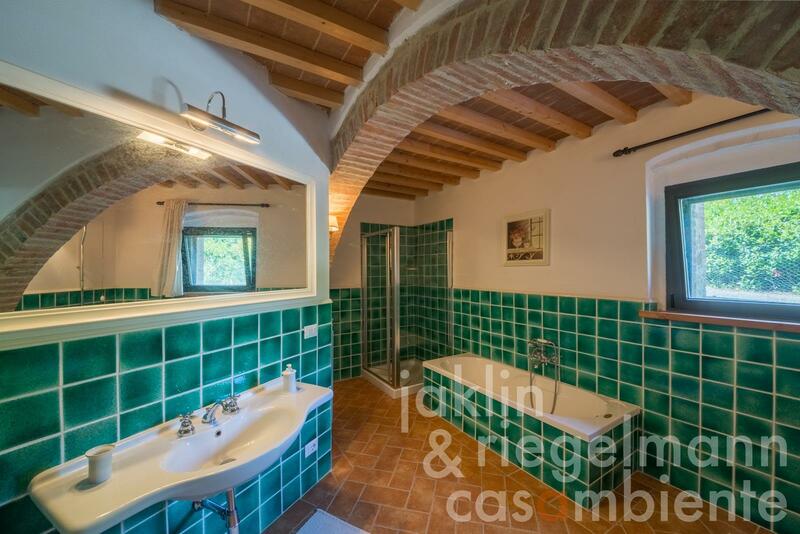 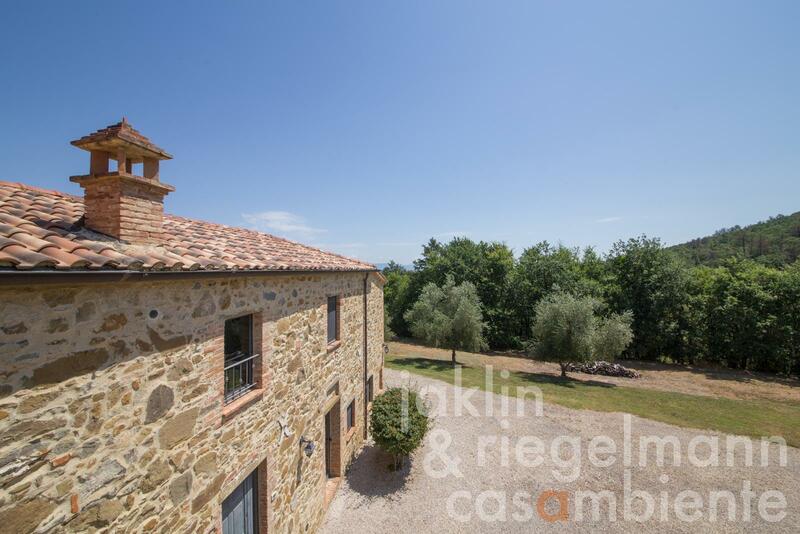 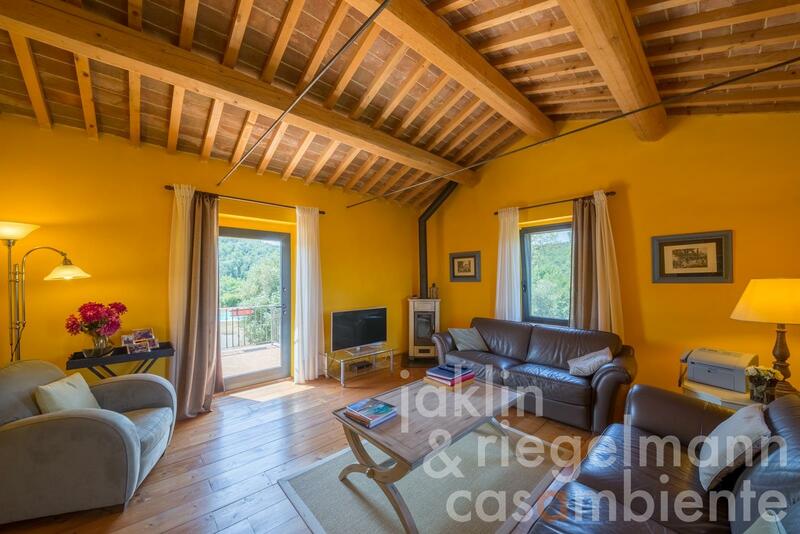 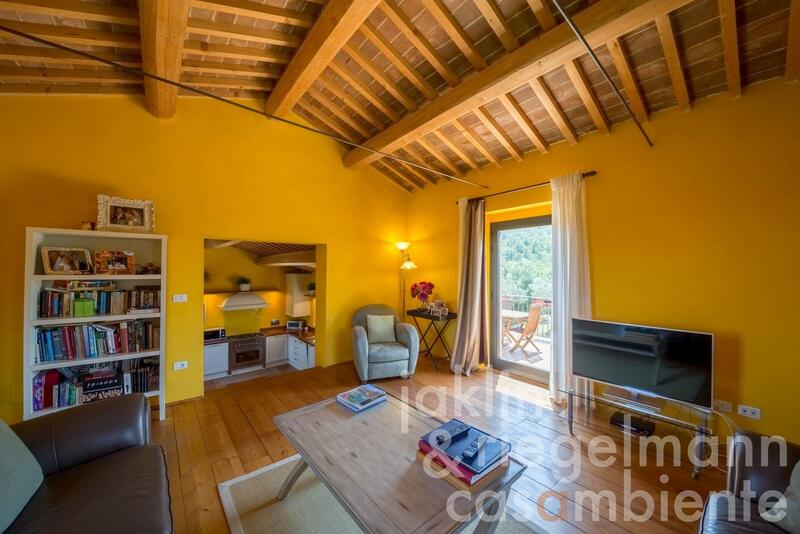 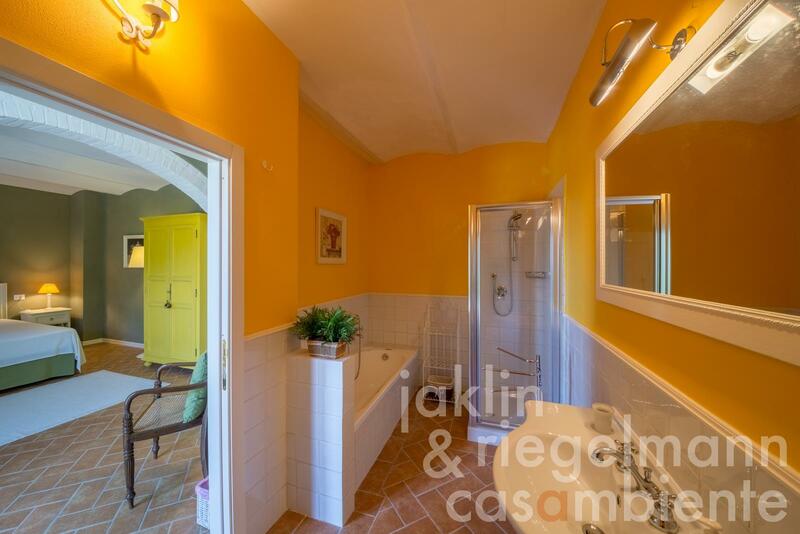 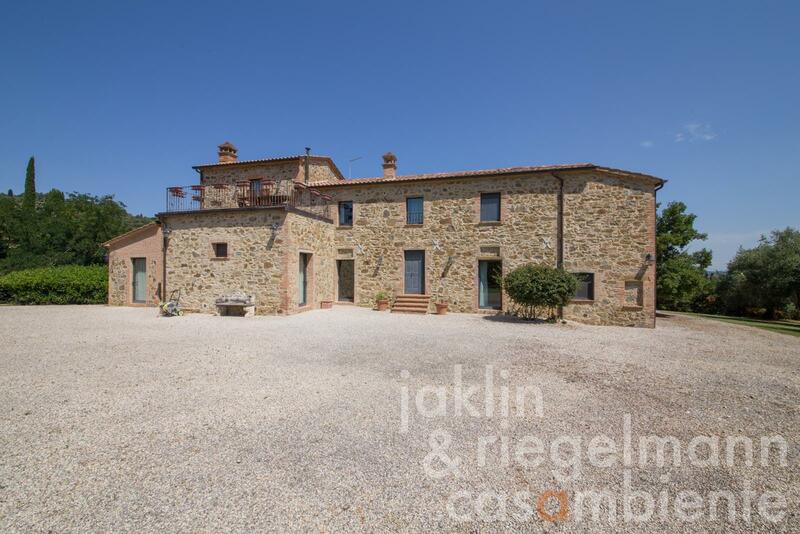 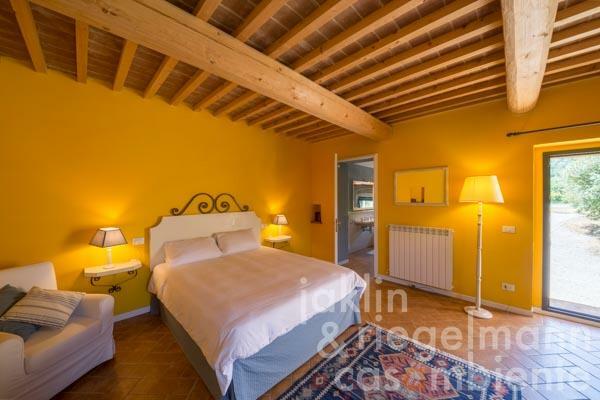 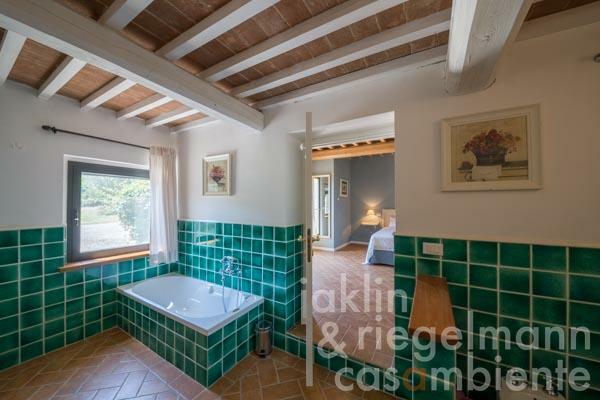 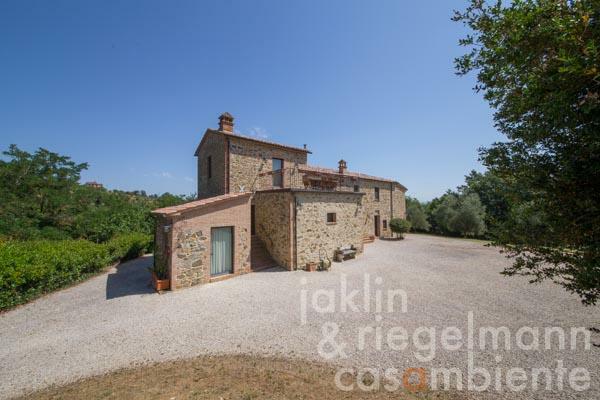 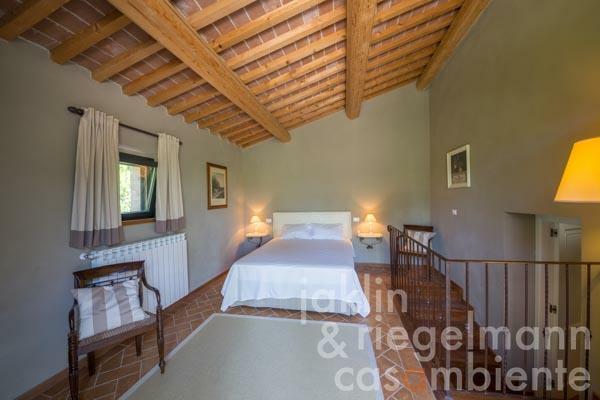 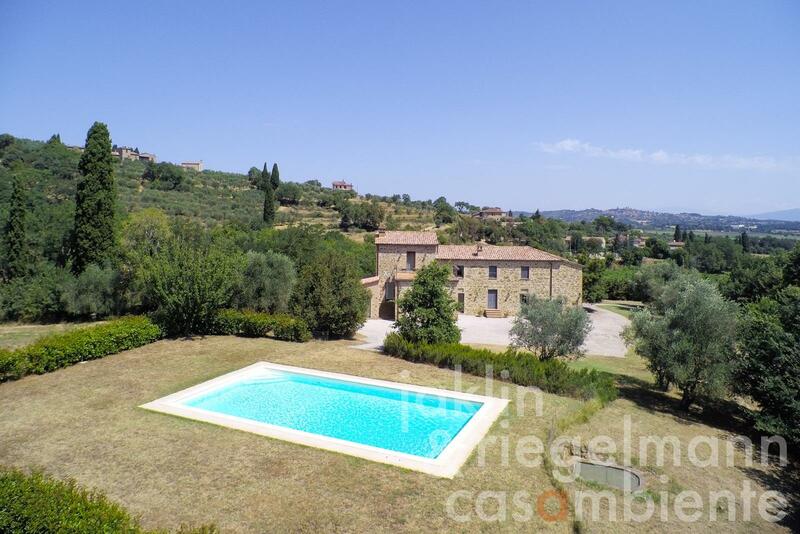 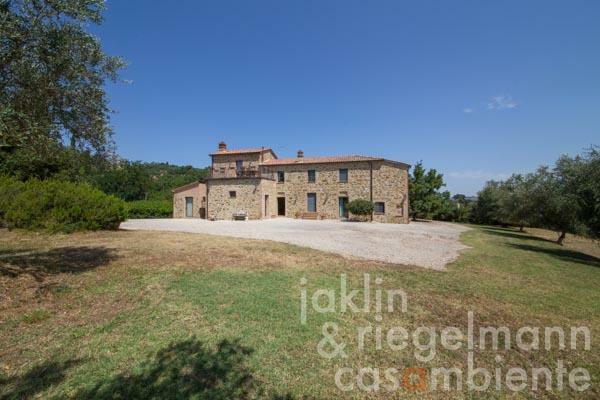 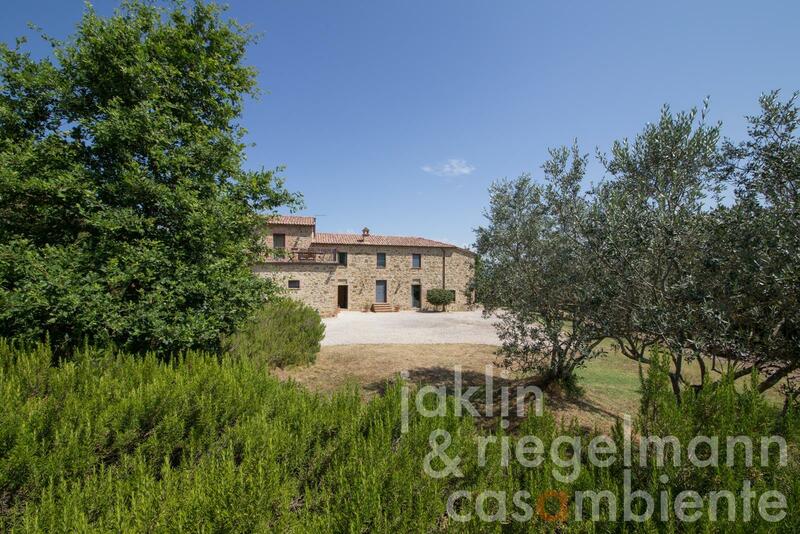 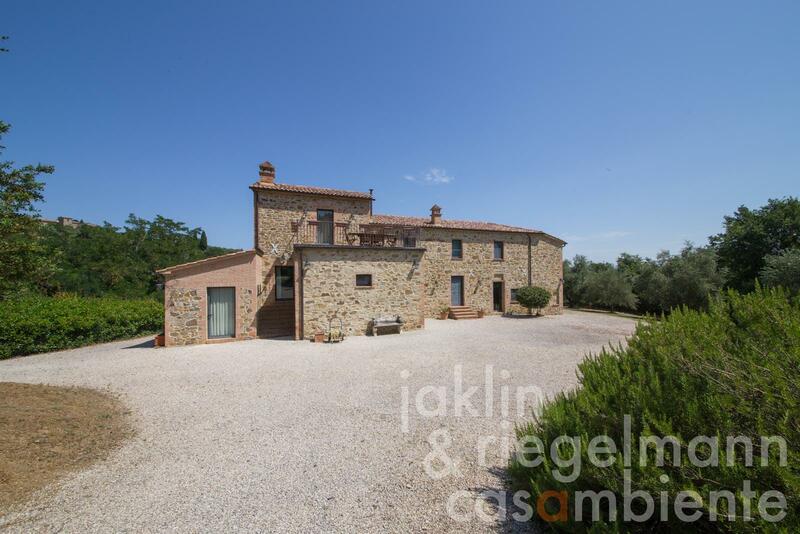 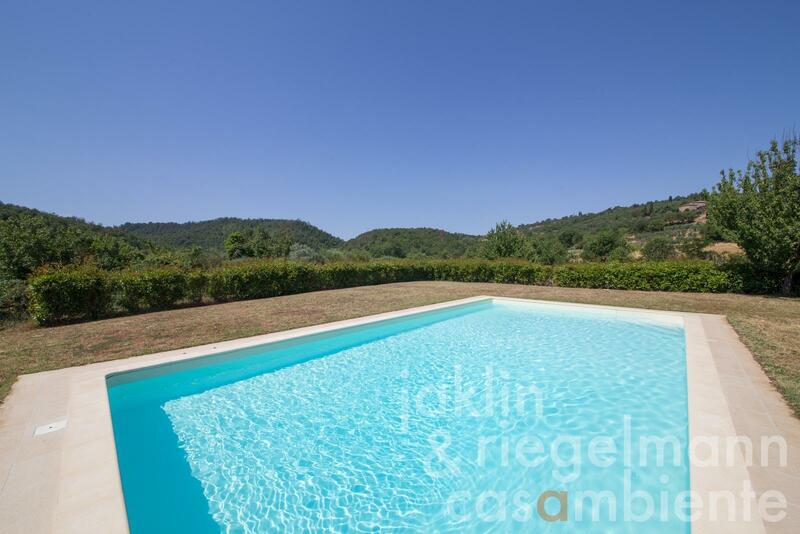 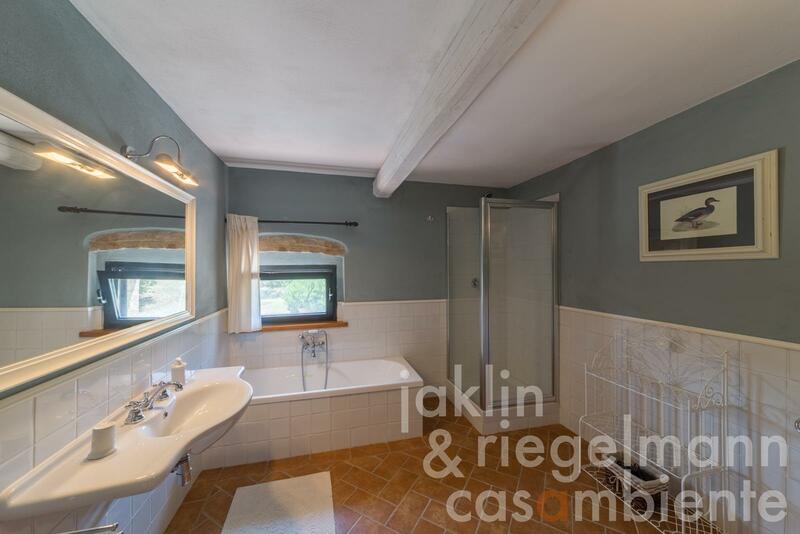 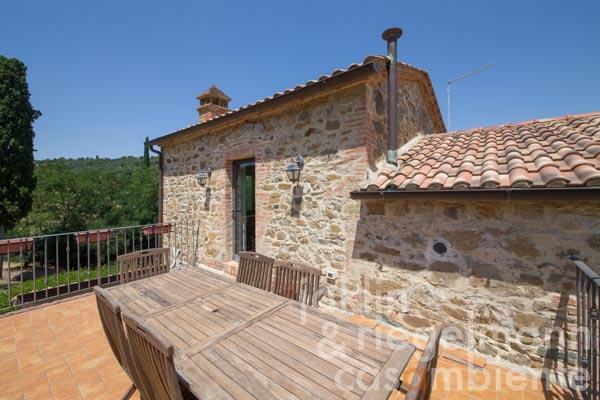 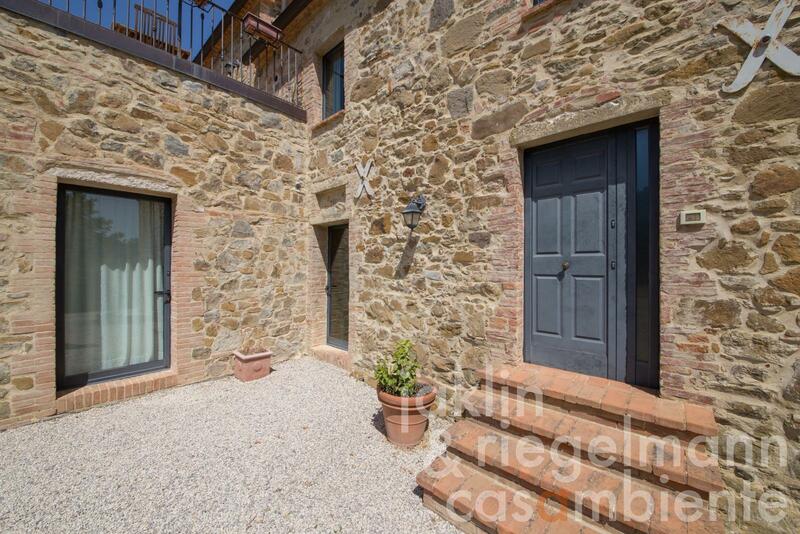 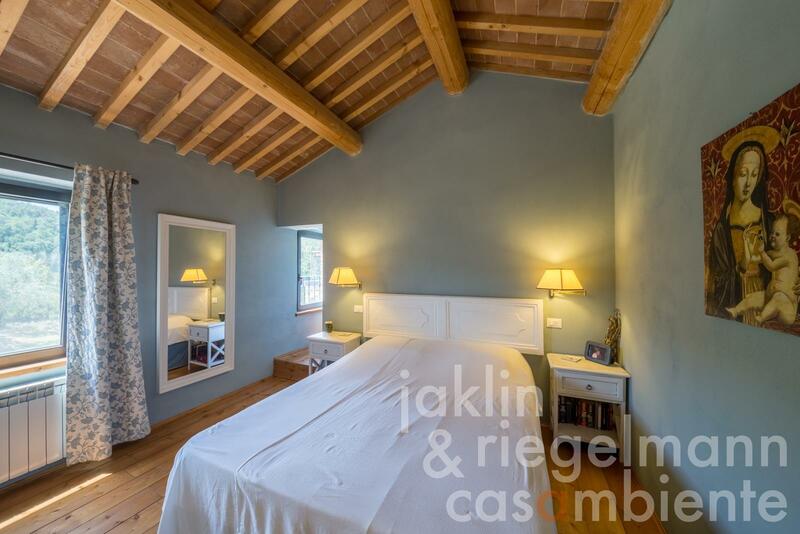 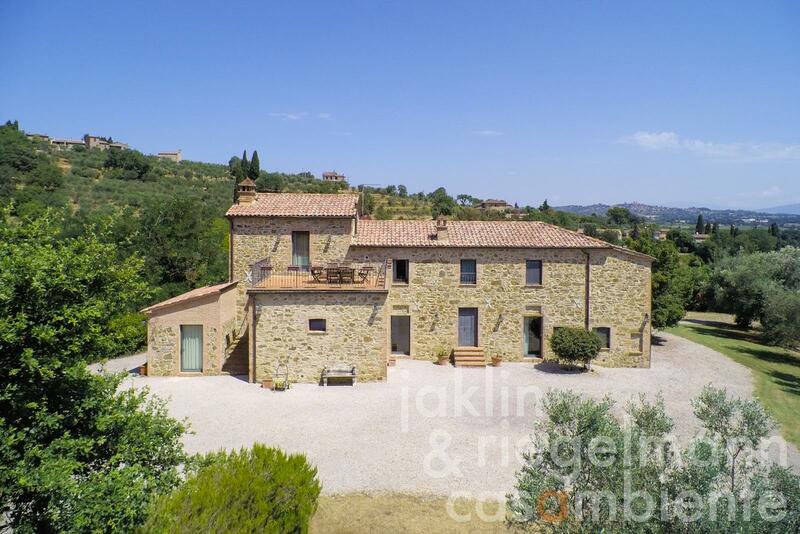 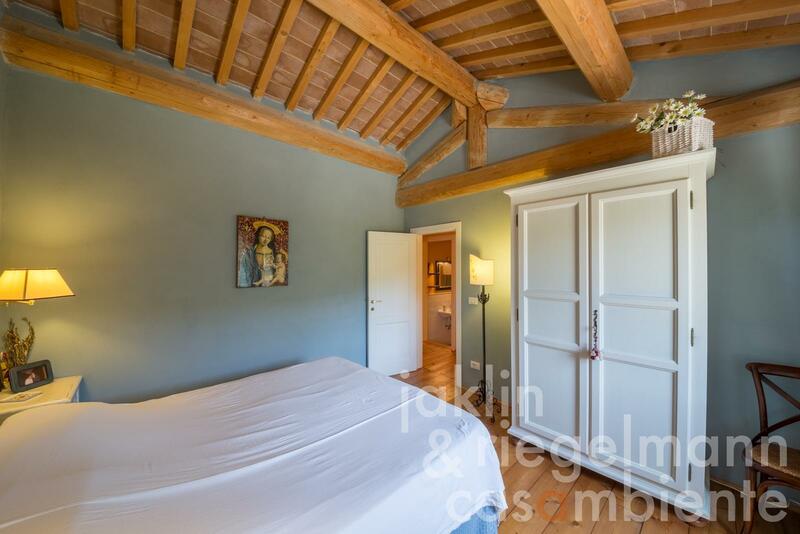 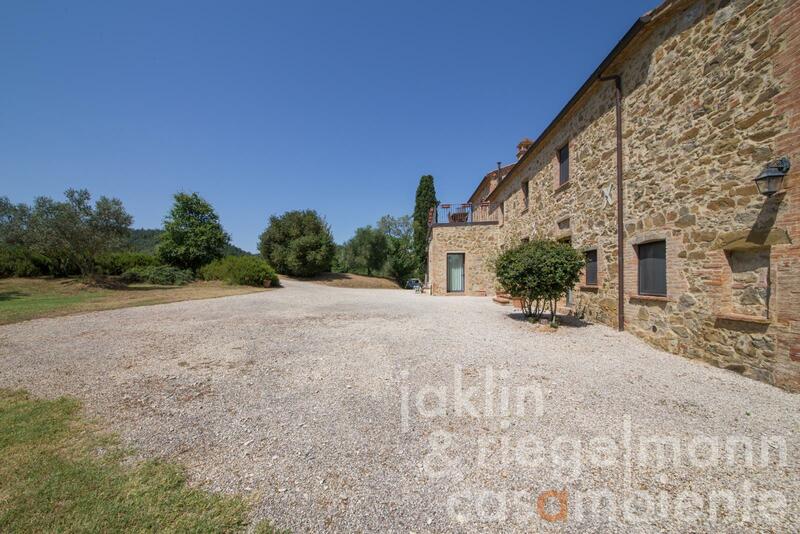 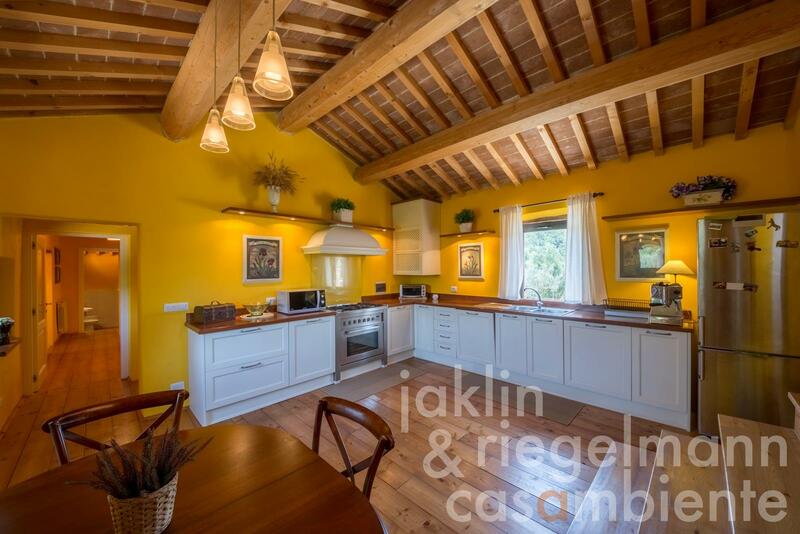 This countryside property for sale is embedded in the green hills close to Sinalunga in the Val di Chiana valley in Tuscany. The country house for sale is surrounded by a well-kept courtyard, lawns and woodland. 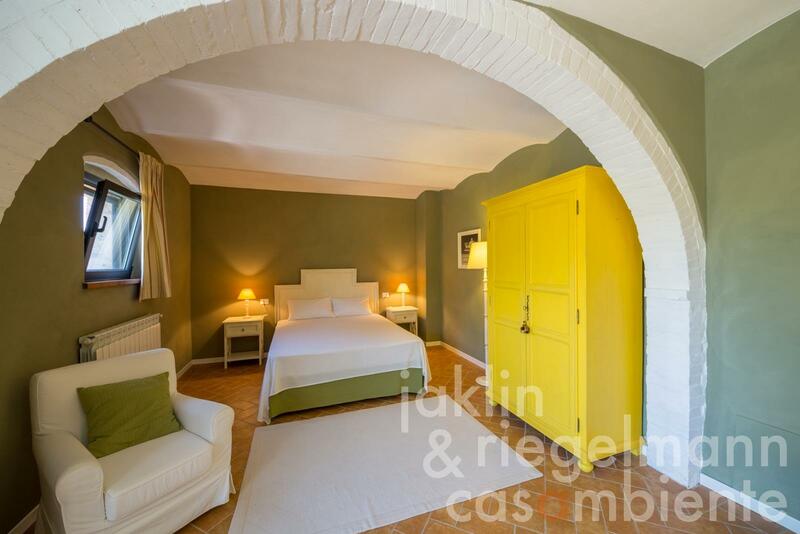 The property was tastefully restored in 2006. 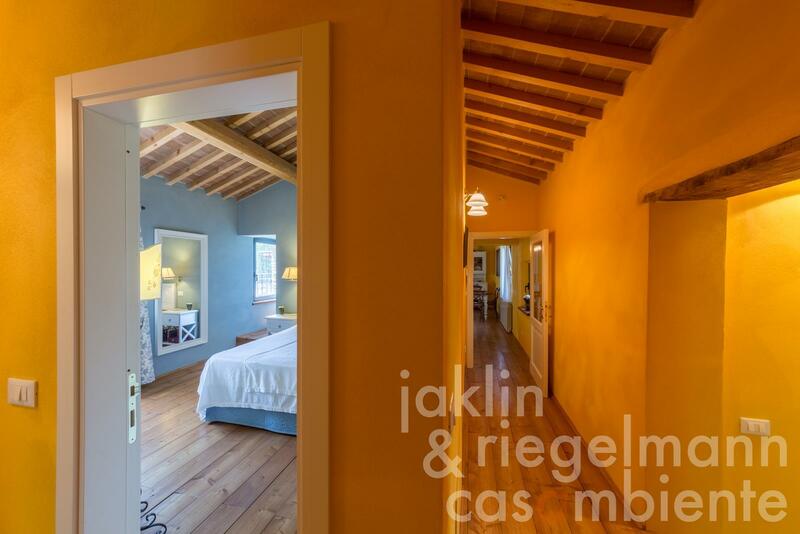 Its traditional building elements were preserved in the process while adding contemporary windows, doors and installations. The ground floor features four independent double bedrooms with en-suite bathrooms, which are run as distinguished Bed & Breakfast business and which can be connected. 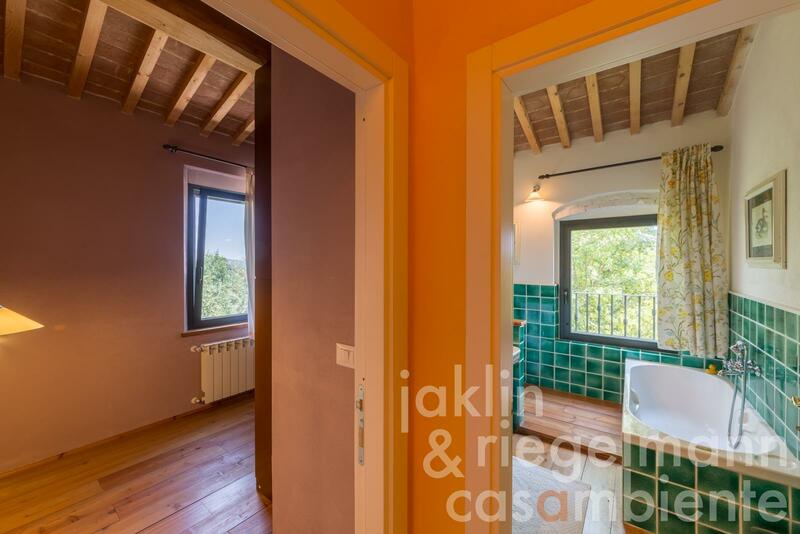 The first floor offers a spacious owners' apartment with eat-in kitchen, living room with access to a large terrace on south with panoramic views across the pool (6 m x 12 m) and garden, three bedrooms, two bathrooms, studio and a storage room. A breakfast room with detached kitchen is conveniently located on the ground floor with direct access to an outside sitting area. 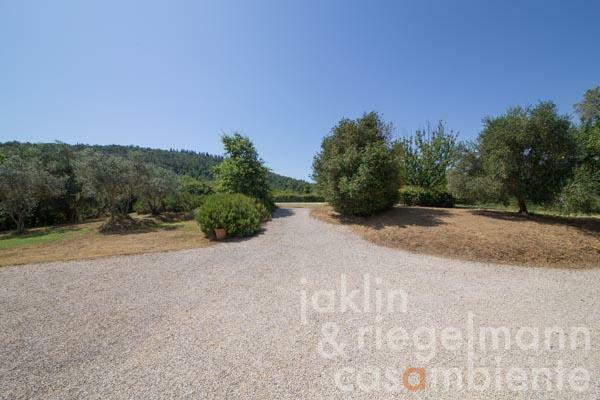 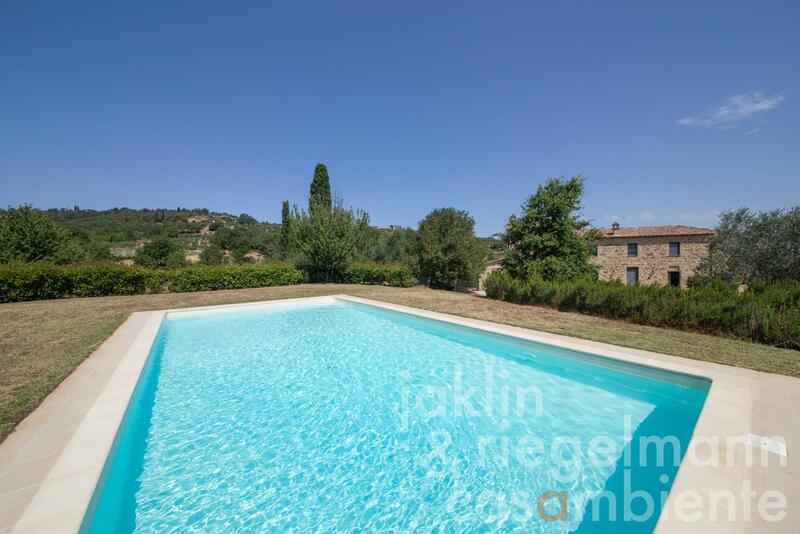 The surrounding land comprises olive tress, Mediterranean plants in the garden and woodland. 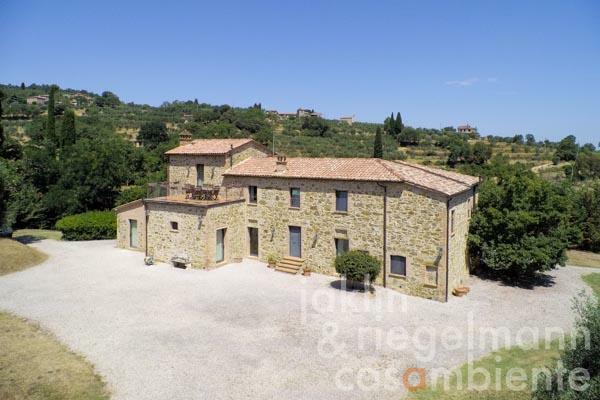 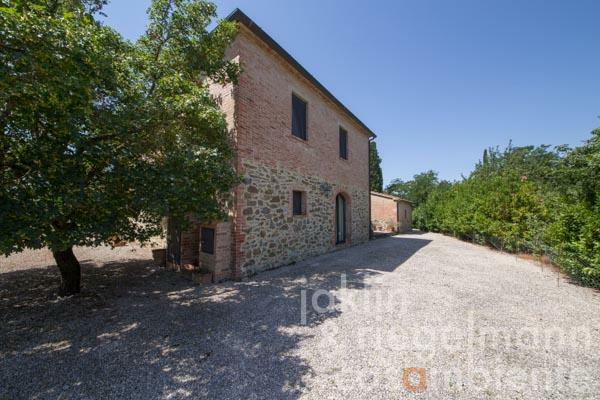 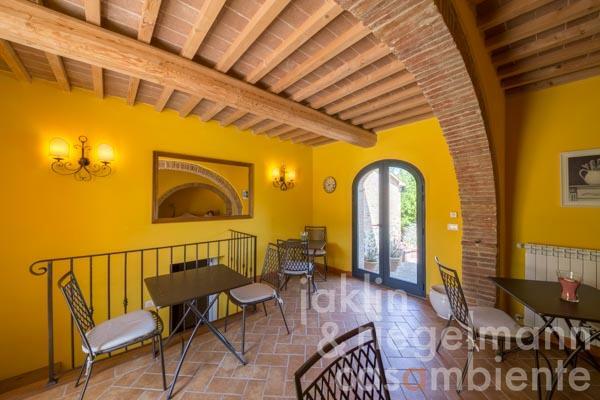 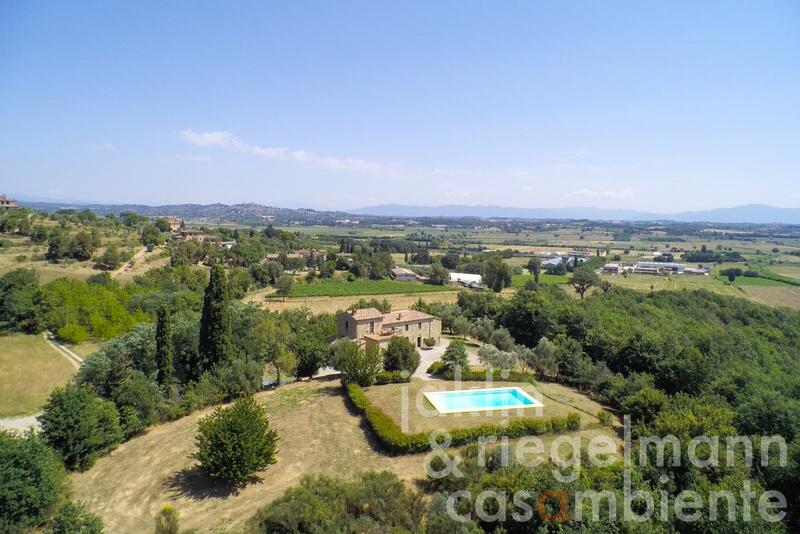 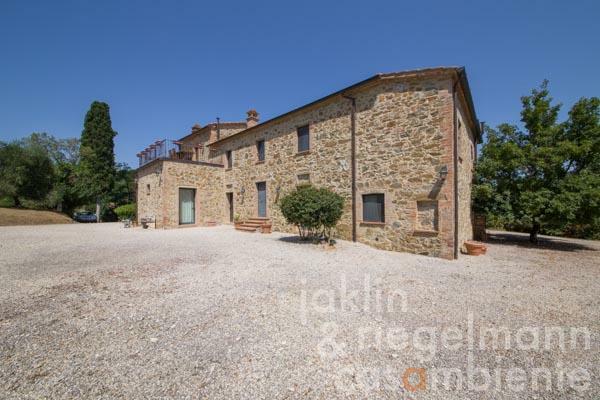 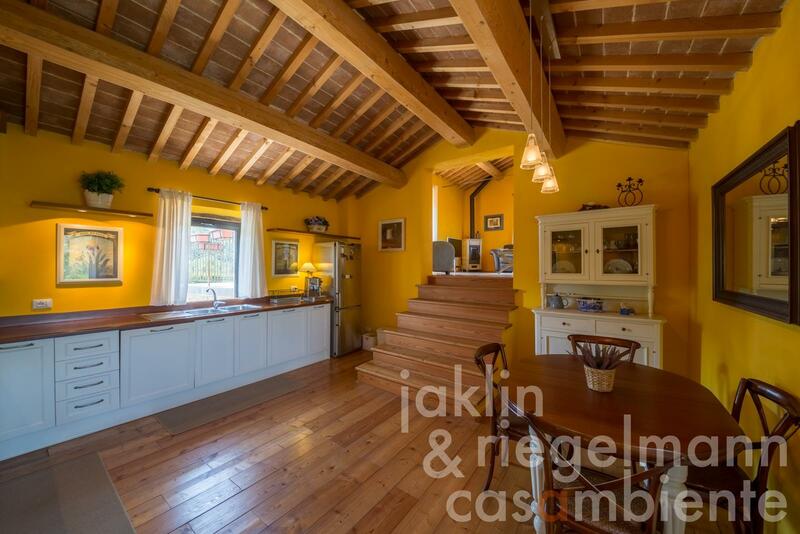 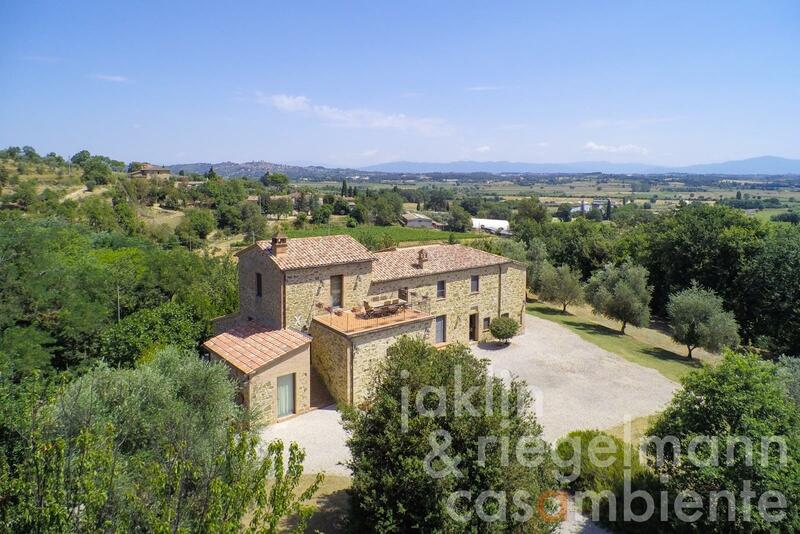 The country estate for sale is located close Sinalunga with all shopping facilities and easy access to Siena, Arezzo, Cortona, Montepulciano and Perugia. 4.50 ha with garden, olive trees and approx. 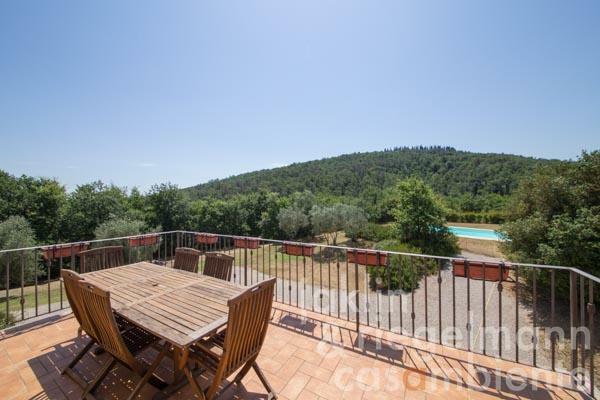 3 ha woodland. 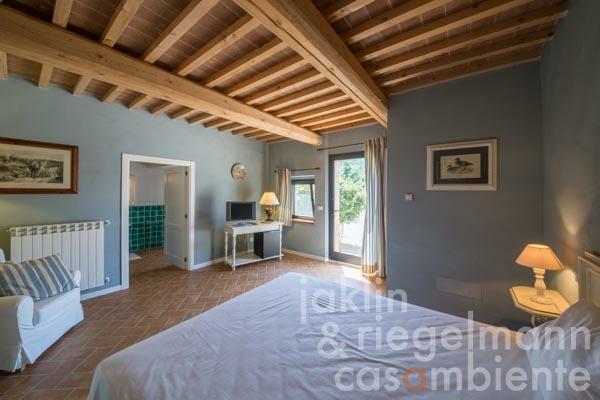 Electricity, mains water, own spring water, central heating, gas tank, telephone, broadband internet access, satellite-TV, swimming pool, private parking, terrace, olive grove, garden.